In addition to our curated selection of eyewear, we are proud to carry a wide variety of contact lenses from leading lens brands, like Bausch&Lomb, to ensure our clients always get the right fit. We also offer fittings and reevaluations to help make sure they stay right, too! Acuvue Oasys contact lenses with Hydraclear Plus provide an extremely comfortable & moist contact lens wearing experience. These contacts offer 99% UV protection and a 38% water content. 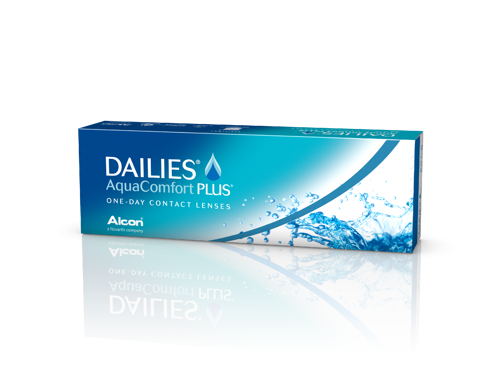 Oasys contacts are 1-2 week soft disposable contact lenses. 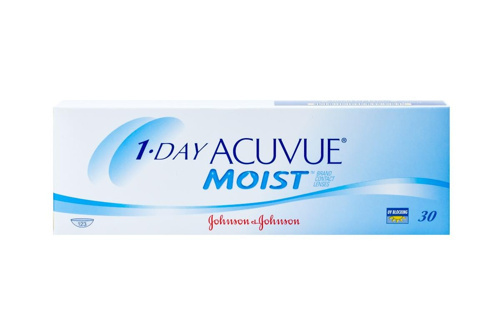 1-Day Acuvue Moist contact lenses are daily throw aways featuring 58% water content and UV protection. These contact lenses feature exclusive LACREON Technology, which means moisture is built into the lens. The moisture rich ingredient acts like natural tears, so no matter how many times you blink, you retain that cushioned, soft feeling. 1-Day Acuvue TruEye contact lenses are daily throw aways made from silicone hydrogel, which lets in the oxygen your eyes need to breathe with 46% water content. Their Hydraclear 1 technology keeps these contacts ultra wet and smooth, so your eyes will still be comfortable at the end of the day. Air Optix® Aqua contact lenses are made to keep your eyes comfortable and moisture rich. This lens is incredibly breathable, allowing five times more oxygen through than other lenses. Air Optix® uses TriComfort Technology not only to let the contact lens breathe and retain moisture, but also to resist deposits and keep the lenses comfortable and wearable for up to one month. Air Optix® Aqua contacts are ideal for people who've had trouble with other lenses, have sensitive eyes, or just need more comfort from their lenses. Instantly fresh and comfortable at insertion. Moisturizes with every blink. Refreshes all day. Brand new pair every day. No cleaning or disinfecting. No deposit build-up. Proclear® contact lenses, also known as Proclear Compatibles, use a unique technology making them resistant to dehydration, which helps your Proclear lenses stay moist and comfortable all day.